Crunchyroll and Fathom Events announce first Crunchyroll Movie Night of 2019 with Mob Psycho 100 II theatrical premiere. Building on the success on October's Yuri!!! on ICE series marathon, Crunchyroll and Fathom Events have partnered again to deliver the best of anime content to cinemas across the country with at least four big screen Crunchyroll Movie Night events in 2019. 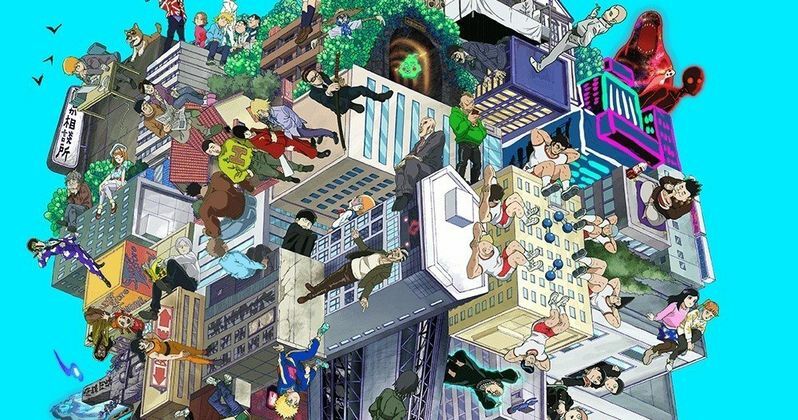 The first Crunchyroll Movie Night of the new year will offer fans an exclusive sneak peek of the first episode of Mob Psycho 100 II (season two), before the episode airs in Japan. This screening will be accompanied by a recap of the first season, which is available to fans now on Crunchyroll, alongside a special greeting from Setsuo Ito, the voice actor behind the main character Shigeo Kageyama (Mob). Tickets for this special event go on sale to the general public starting Friday, December 7. Fans can purchase tickets online by visiting www.fathomevents.com and at participating theater box offices. Crunchyroll subscribers received early access to tickets for this event on Wednesday, December 5, and will continue to get presale opportunities for future Crunchyroll Movie Night events. Fathom Events and Crunchyroll will present the movie Saturday, January 5, 2019 starting at 12:55 p.m. (local time). Moviegoers throughout the U.S. will be able to enjoy these events in approximately 400 select movie theaters. A complete list of theater locations will be available on the Fathom Events website (theaters and participants are subject to change). Crunchyroll is the world's largest destination for anime and manga, boasting a global community of more than 45 million registered users and over 2 million subscribers (across Crunchyroll and VRV). Fans connect through the most complete anime library including Naruto Shippuden, Attack on Titan, and Dragon Ball Super, events such as Crunchyroll Expo, Anime Awards, Crunchyroll News, and can purchase related merchandise through its online store. Through its app on game consoles, set-top boxes, mobile devices and more, Crunchyroll delivers content from leading media producers directly to viewers translated professionally in multiple languages. The service is available for free or through a premium offering that allows users to watch ad-free with access to simulcasts-top series available immediately after Japanese broadcast. Fans can also view Crunchyroll on VRV, a fandom--focused aggregation platform featuring premium SVOD channels and a curated house channel, VRV Select.